Christian Dior eyewear uses cutting-edge materials to create exclusive designs that balance modern elegance with optimal functionality. 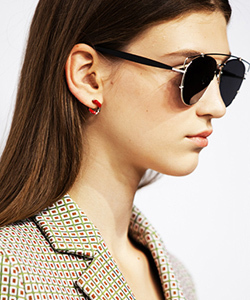 Inspired by both the past and the future, Dior eyewear is the perfect combination of retro and modern designs. Featuring sophisticated blends of materials and innovative high-tech solutions, the Dior collection features a creative spirit which makes a statement that the wearer appreciates glamorous fashion. Both classic and contemporary, Christian Dior offers colorful concepts or more refined and subtle beauty, suited to a variety of tastes and preferences. For individuals looking for a flair of elegance and high fashion, Christian Dior offers a unique and high quality line of eyewear.